About us - RPG Recycling, s.r.o. ​RPG Recycling s.r.o. is one of the leading companies for tyre processing in the Czech Republic, who also sell their products on foreign markets. The tradition of tyre recycling in Uherský Brod dates back to the 1990s. In 2007, the tyre processing facilities were bought by Kovosteel, s.r.o. 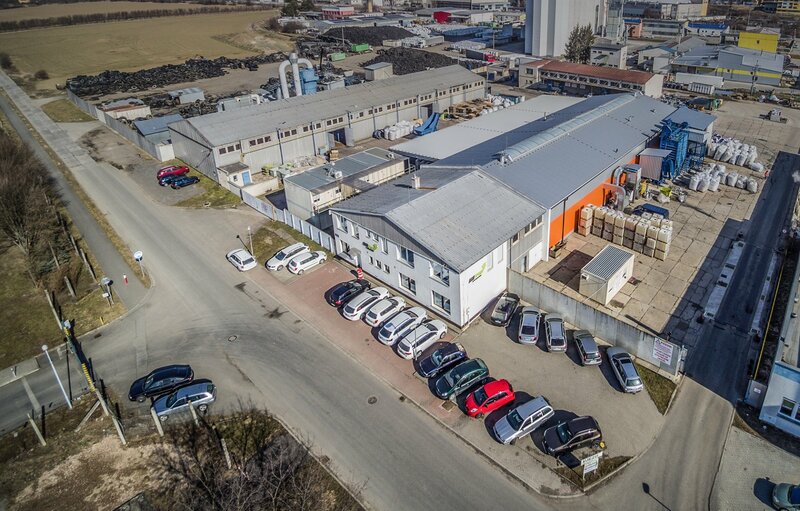 with their headquarters in Staré Město near Uherské Hradiště, who expanded its activities by tyre processing and recycling. On the 1st of January 2011, the Kovosteel division in Uherský Brod was transformed into a separate legal entity under the name of RPG Recycling, s.r.o., belonging to REC Group s.r.o. RPG Recycling, s.r.o. is based in Uherský Brod where together with ASSCO, s.r.o. and GELPO, s.r.o. form a division for processing rubber waste from collection through mulching to manufacturing finished products made from EPDM and SBR rubber. Due to the growing demand for tyre purchase, another branch was established in Prague in 2014.